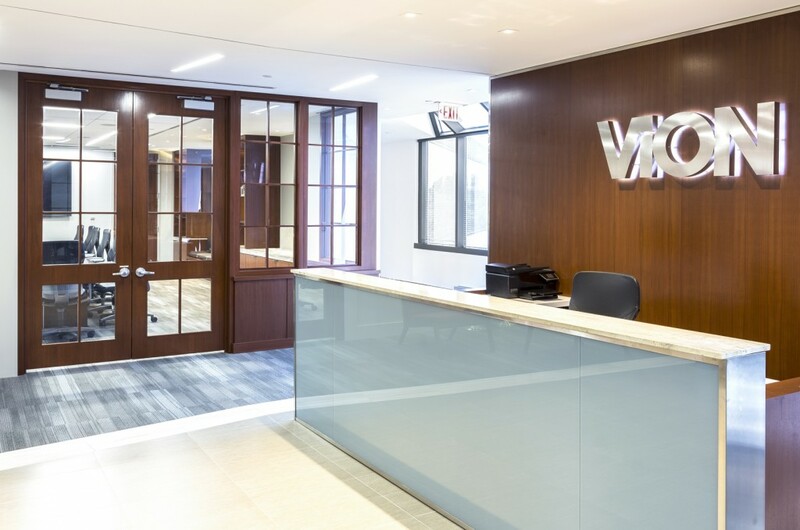 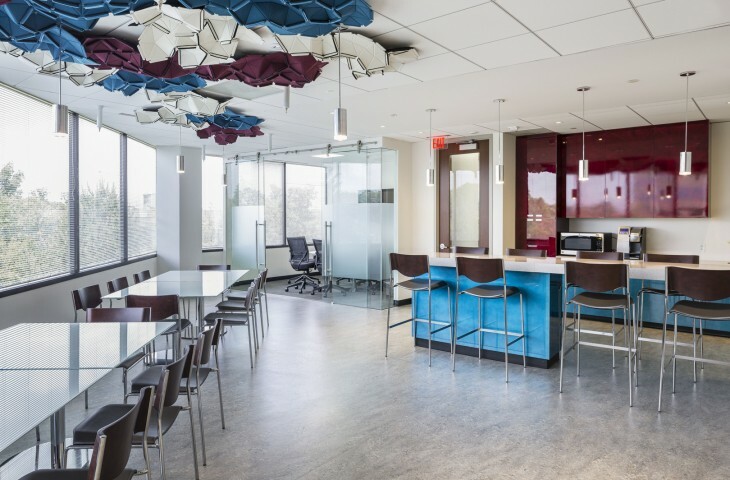 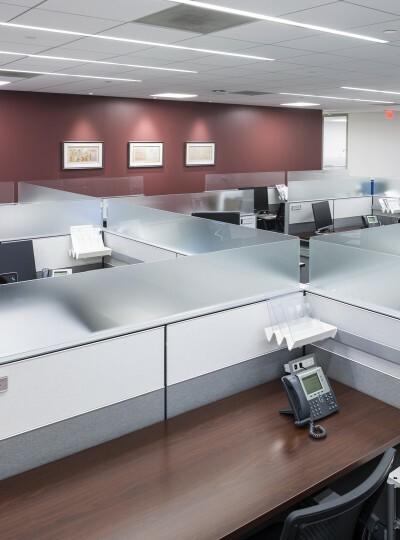 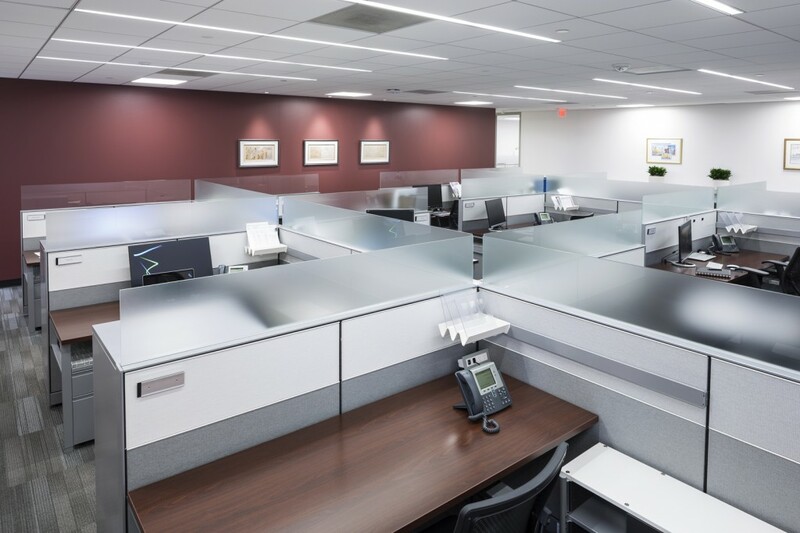 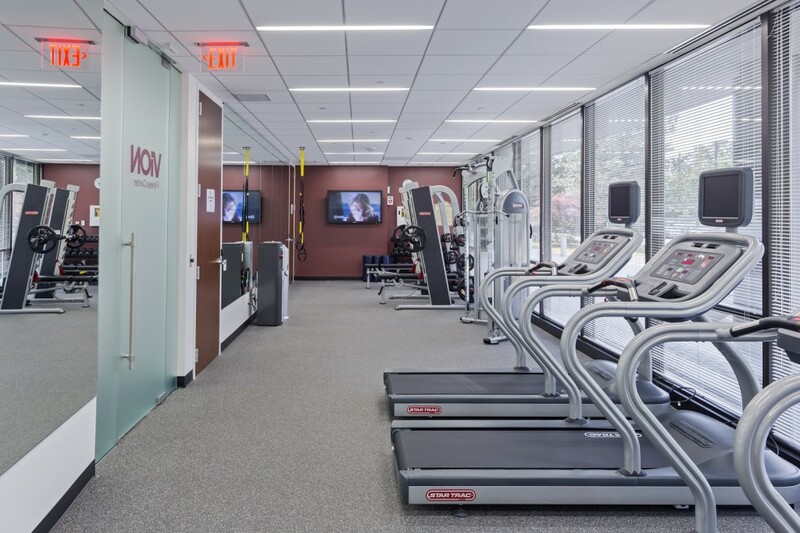 Located in Herndon VA, the ViON Corporation is a veteran owned company that designs, delivers, and maintains storage and server solutions centers throughout the federal and public sector. 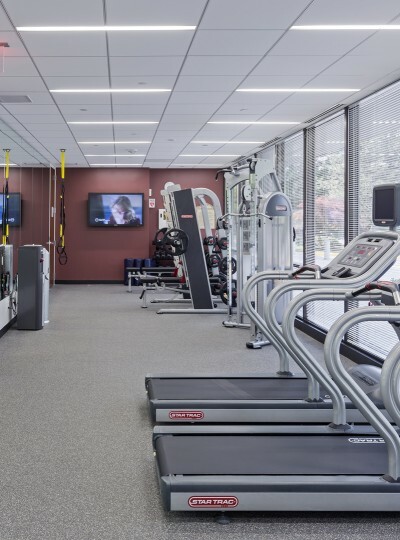 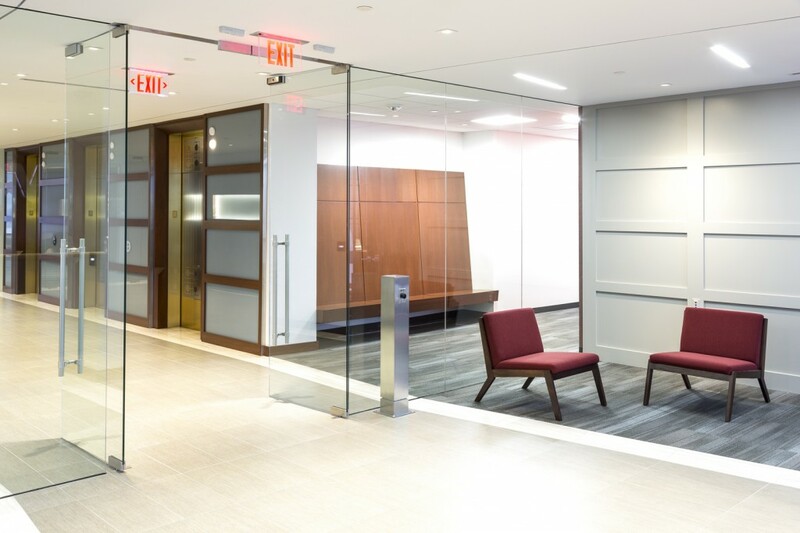 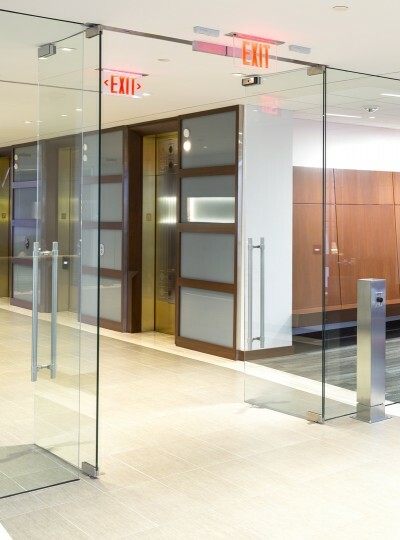 This 30,000 SF corporate project, on two floors, combines elegant formality with function and seamless technological integration. 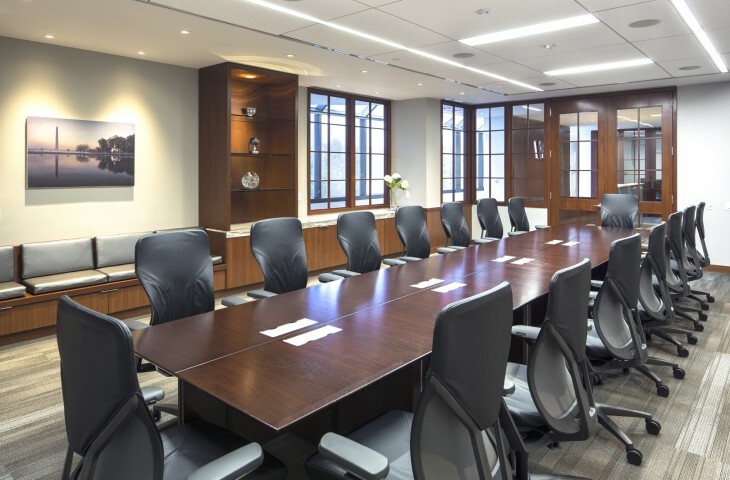 The GTM team developed a plan to combine modern elements with traditional dark woods, mouldings and accents. The use of strong colors at coffee areas and the galley create a festive respite for busy employees.